During 3 weeks of design theory, we came across many different font types, some of which were far from understandable. 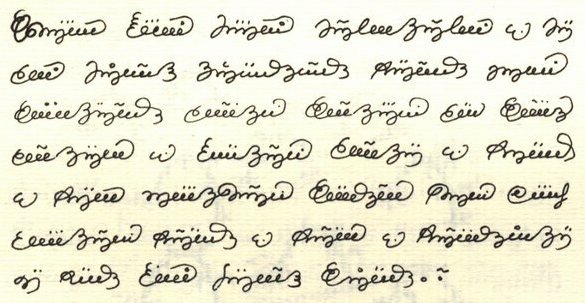 Some of these abstract types surpassed the intelligible and had a whole coding system for themselves, in which every letter of the alphabet had a symbol of its own, which should be able to be coded and decoded in order to write and read text. 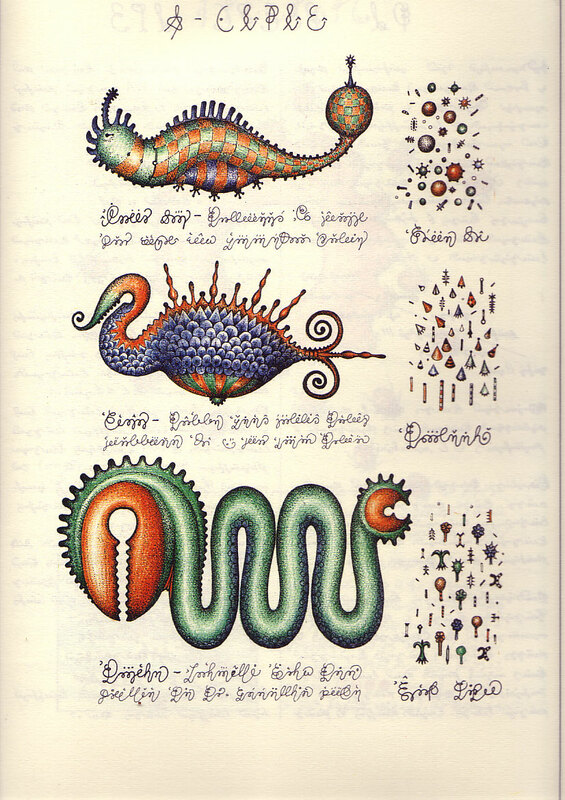 In it’s own special realm of this font families, there is a book that navigates the imaginary, it’s the Codex Seraphinianus. The book describes almost scientifically a different and strange world, reminiscent of our own planet but equally strange and obscurely abstract and unfamiliar. It is composed by two parts, one which seems to be about human science and a second about general nature, society and ruling structures of this foreign world. The piece stands for itself, it should be seen as an art book that does have an explanation; it is extremely fantastic and creative with wondrous drawings and ideas, which stimulate your fantasies, and invite you to dream along its colorful and psychedelic illustrations. At a first glance you will be taken through constant confusion, where referencing what you see from what you know from the natural world leads nowhere. The feeling it creates could be described as the one of a child, scrolling through an encyclopedia, believing that what is written makes sense but is not able to verify if true or not. The pictures are all that is left to rely on and are the actual source of the story telling going on through our heads. Ever since its publication, this book stayed as a mystery; intellectuals from all disciplines have tried to “understand” and “decode” it. Despite the familiar characteristics of language like rhythm, repetitiveness, paragraphs and even punctuation, there has been no success on making sense of this “text”. It simply can’t be figured out, but why should it? What would the decoding of this alternative encyclopedia bring and why are the efforts centered in doing so? Which interpretation would be the correct/truthful one? 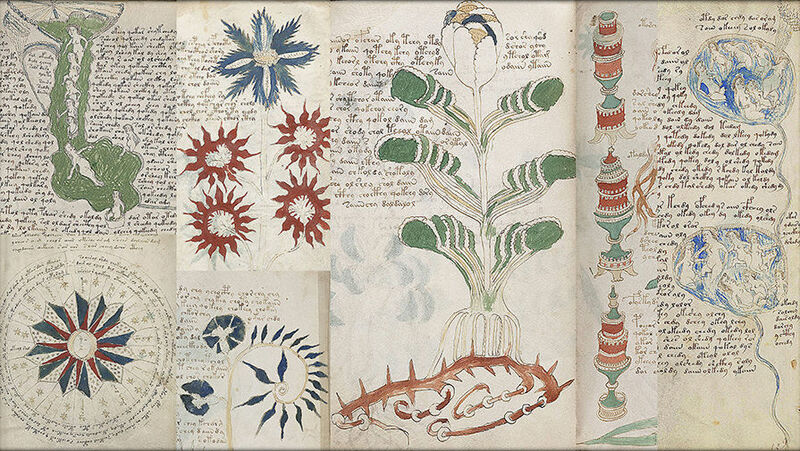 The Codex could be compared to the “Voynichmanuscript” (https://en.wikipedia.org/wiki/Voynich_manuscript), written around 1450-1520, which is also also written in a code impossible to decipher and is illustrated with bright colored images of a scientific nature, just as in the Codex Seraphinianus. The feeling the codex creates could be compared to Aldous Huxleys “Brave New World” (https://en.wikipedia.org/wiki/Brave_New_World); a novel about an utopian or dystopian future where everything seems to be so great and neatly organized that it gets scary, and even though it is quite different from our world we see parallels that remind us on how easily our order can slip into the realms of suppression and absolute control, without us even noticing. The aesthetic of the world described in the Codex reminded me of this morbid perfection of the modern world. 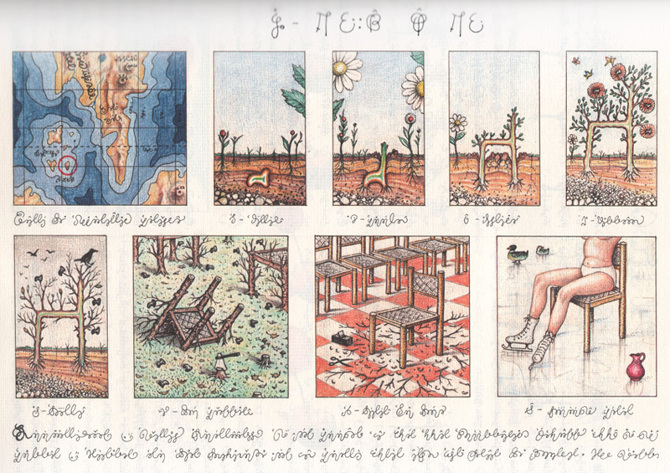 In more general terms, the story of the interpretation, coding and decoding of the “Codex Seraphinianus” could maybe be compared as a more recent artistic Bible. “The Holy Book”, which sets a broad set of rules and explains stories through metaphors, could easily be compared since, for centuries, the scriptures have been read, analyzed, compared, re-written, interpreted and decoded by intellectuals and well as whole cultures and societies. But, which interpretation is the right one? Interpretation is a key element to understanding, a fundamental capacity and force of the human essence. The reason for this need falls uncertain and as mysterious as the subject of this text, but somehow it’s force is so essential and true as any other basic necessity such as eating or reproducing, interpretation is key to learning, evolving, developing and creating, it is indeed inevitable and inescapable, nevertheless, when could we say an interpretation is true? Plato, tried to explain the burdens/risks/nature of this issue, through what is probably the best known philosophical allegory. It’s the allegory of “The Cave”. People have always lived in a cave and haven’t seen the outside world. There is no natural light, and all the inhabitants can see are the shadows on the wall projected by the light of a fire. They are fascinated by the reflections, moreover they believe those shadows are real and if you concentrate, look and study them, you will understand and succeed in life. They don’t realize that they are looking at mere phantoms. One day by chance, someone discovers a way out of the cave. At first he is simply overwhelmed and dazzled by the sunshine in which everything is for the fist time properly illuminated, and once his eyes adjust to the light, he encounters the true forms of the shadows he had been seeing on the cave. Previously he had been looking merely at phantoms, but now, he is nearer to the true nature of being. When the cave dweller crawls back into the cave, he is confused by the dark setting of his previously familiar space. Confused, he tries to explain his co-habitants about what he just saw and discovered, about the truth he had witnessed. At first, the other cave dwellers don’t understand his ideas, they believe he is being sarcastic and at some point, even plot to kill him. 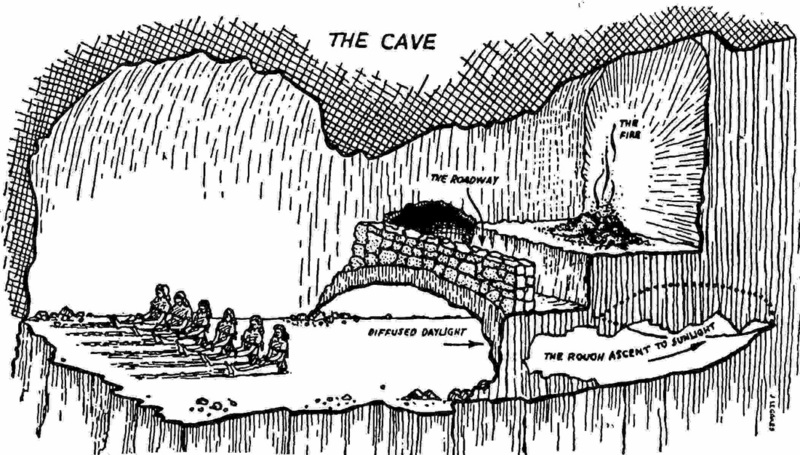 This allegory is a symbolic explanation of philosophy and humanity; Cave dwellers are humans before philosophy, the sun the light of reason, and the messenger a philosopher (and what happens to the messenger, is what truth tellers can expect when they take their knowledge back to people). This allegory is a warning as well as an explanation about the risks of pursuing the truth, of thinking and exploring, but, where does the force of wanting to understand, to think, to decode and understand come from? Science is maybe busy trying to find the truth of things, while art is maybe one of the fields looking to solve the bigger question, WHY? MEANINGLESS ART, IS IT TRULY MEANINGLESS? It is believed that the Codex Seraphinianus doesn’t have a purpose, but do purposeless things mean nothing? Is the same to make an incomprehensible statement than making no statement at all? In art and out contemporary times this is a burning question looking for an answer. E.g. What is tho be expected from a stone carver artist today? Stone Carver: I want people to see that I pushed the material as far as I can possibly go. I maybe want people to see themselves in it. Maybe that they wonder about my reasons for carving it. I want them to argue about why did I make it the way I did and maybe have different ideas of what the reason and its purpose is. Philosophy as seen by Plato and many others, is a practice that will teach us to live and die well, some sort of therapy for the soul. Pieces like the Codex Seraphinianus, despite it’s attractive and superficial nonsense take a stand towards curiosity, imagination and discussion. It encourages doubt and reflection, study and analysis, key element to critical thinking and human/personal/intellectual development but most important, it encourages imagination. The book gives us back that brave imagination of a child, that creates the story itself by looking at images and assuming what is written. The book is an invitation, to exercise our imagination again, another time, its another chance for the adult to go back to the golden age of childhood, before going to school. Weather its real significance has, will or had ever existed shouldn’t be the main focus, instead, we should appreciate the process of adapting our eyes to the light and be courageous enough to be doubtful and think, go out of the cave even if what we see is confusing, truthful or not. Parallel Encyclopedia #2: welcome in Batia Suter’s head and my interpretation of what that might be. She searched, she found and she took, and now she is giving it back. 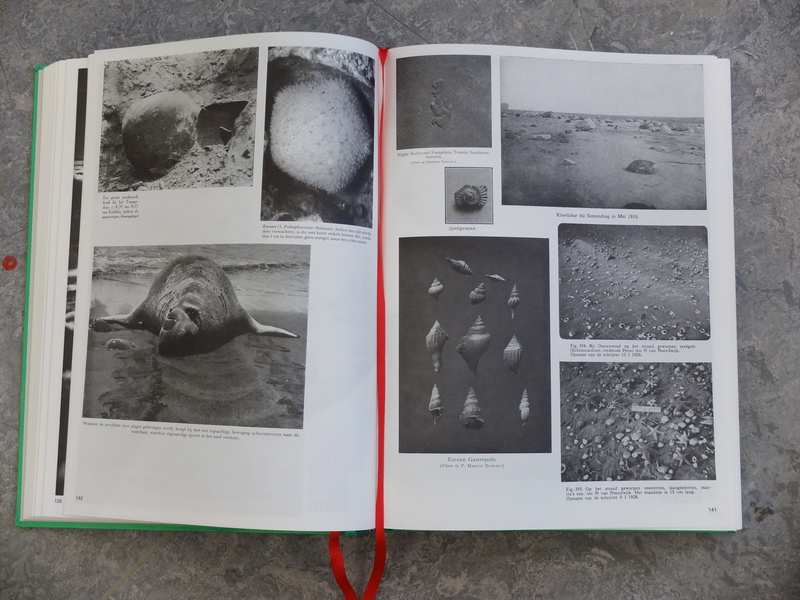 The book turned into an object that spikes my curiosity, and not only because of her collection of curiosities. The green cover spoke to me. I picked it up and it spoke even louder. I decided to dig further and at one point it made me want to dress in rubber boots, a jacket with too many pockets and a bucket hat and go off to explore the world. And bring a camera. 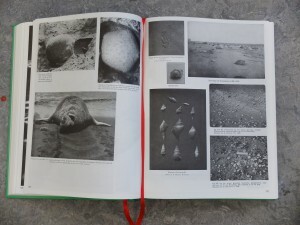 After Parallel Encyclopedia – an almost black-and-white compilation of her personal archive of seemingly random pictures – Batia Suter made a second volume. 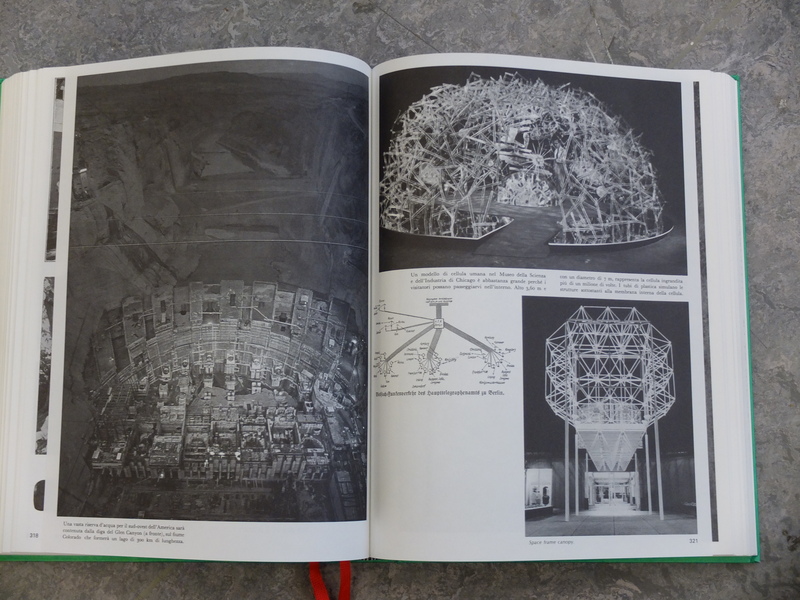 An artist’s book poured into an encyclopedia-shaped cast. Where Parallel Encyclopedia number 1 contained strictly black and white imagery, number two also allows specks of colours to seep through the pages. 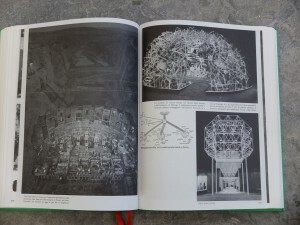 One might wonder, in a book like this: what did the designer do? It’s Batia Suter’s collection, and her intuition that ordered the pictures. Where did the designer – Roger Willems – drop in? Where did the designer left his mark. Did he had a say and what did he say? Where and if to use colour in this otherwise black and white universe? To use Biotop paper in 90 grams, to give it all a functional feel? To add two red bookmark ribbons? 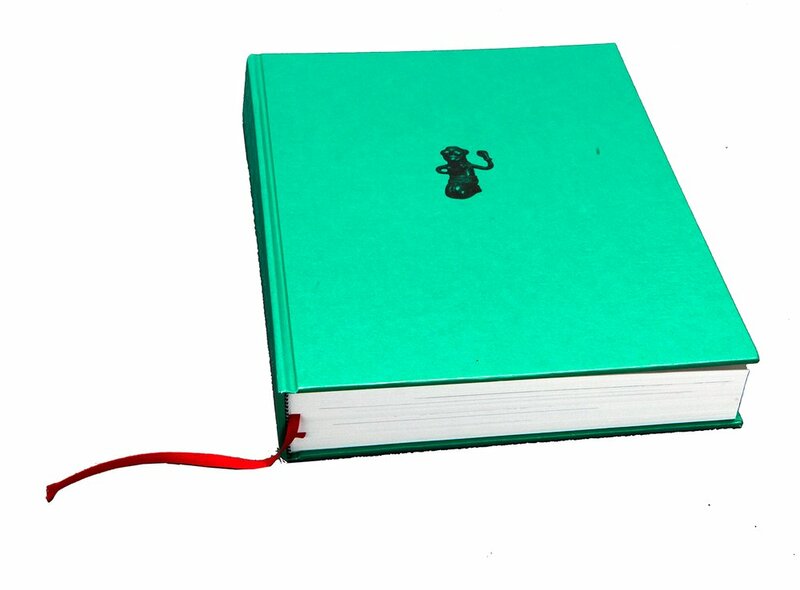 On might wonder – hidden inside this volume is a parallel world of a parallel world of a parallel world. 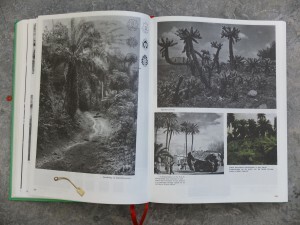 One might wander – an encyclopedia of no practical information but visual information, a dreamy answer to an 2000-year old tradition of encyclopedia-making. Another possible answer to this tradition is Wikipedia. 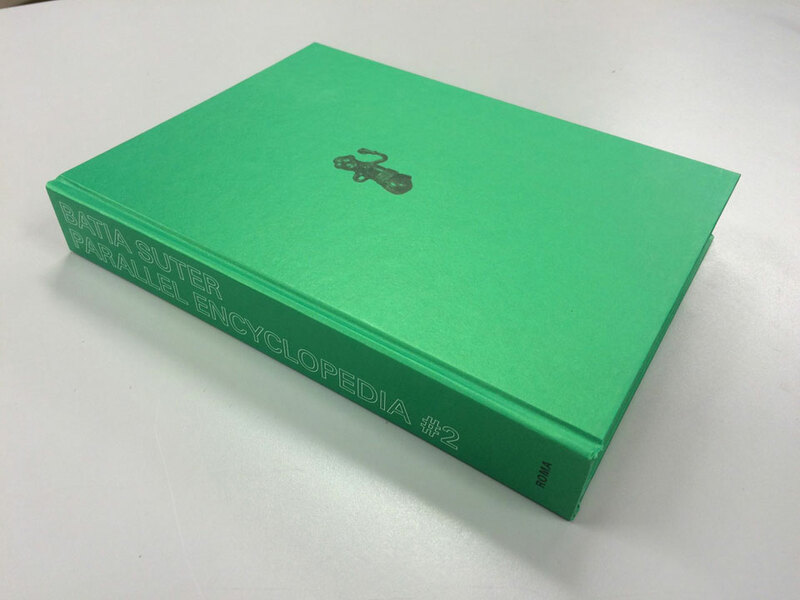 Wikipedia suffocates most encyclopedia, but not this one, not Parallel Encyclopedia. This one tells us what Wikipedia can never tell and thank God doesn’t and probably doesn’t even want to. This one is a reference work of the subconscious. Batia Suter’s thematic categories are her own: giving us the suggestion of a story, or not at all – we all make up our stories anyway. She leads us into a great grey and black and white world, different worlds within different worlds, from curiosity to curiosity, from dreams to wonder. She let’s us jump from trees to mountains to griendhout to wolzakverwering • and the wall of Hadrianus; Britannia. From fields to Kirchner to winter to bacteria and giving us a neat visual experience whilst doing it. Workman sprays carbolic powder on a 35-yd long rubbish pile during strike of garbage collectors in London in September 1969. A picture of stacked boats, a woman shopping on the Amsterdam flowermarket. No clue how this works together, but somehow, it works. Verschillende dwarsdoorsnedes van kringsporig hout (es), verspreidporig hout (esdoorn), halfkringsporig hout (kers), mergstralen (eik), mergstralen (tulpenboom), and so on. Several spherical objects, mirroring the moon. The entire page is filled with a picture of flowers that remind me of orchids, but apparently are called Odontonia. The entire page is filled with a picture of geisha girls of the early 1900s. Their kimonos and the plants in the pictures depict flowers that mirror the Odontonia. Several pictures of butterflies, and hands being spread open, resembling butterfly wings. It’s design is imbedded in it’s content, made to serve this visual feast. Made to serve the hidden narrative. Or the none-existent narrative. It’s not organised in a seemingly logical way, but for Batia Suter, it probably is. She is pretty convincing. 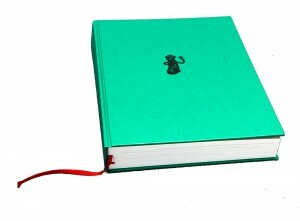 One might wonder – the strays and wanderers, all nicely wrapped in shiny green. What’s the hand of the artist and what’s the hand of the designer?